The Hair Raiser Fundraiser!! Shave it!!! Hough High School Orchestra Patrons hasn't added a story. Hugh Haddad, Orchestra Director, has pledged to shave his head if the students raise $10,000! PLEASE JOIN US FOR THE BIG REVEAL ON THURSDAY NOVEMBER 1ST!! THE BIG REVEAL WILL BE ON NOVEMBER 1ST AT THE HOUGH HIGH SCHOOL AUDITORIUM!!! ADVANCED ORCHESTRA AND JASON BARD/RICHARD KLECKNER CELLO DUET TO PERFORM AT 7:00 PM. ALL ORCHESTRA STUDENTS ARE EXPECTED TO ATTEND AND WEAR THEIR NEW T-SHIRTS AND/OR HOODIES!! All donations are tax-deductible! The Hair-Raiser Fundraiser runs through October 31! A celebration will be held for the Big Reveal...more information to come...food, celebration, and haircutting....maybe???? 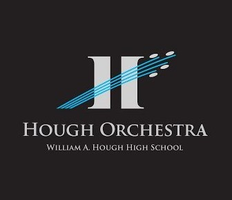 Hough High School Orchestra Patrons hasn't posted any updates yet. 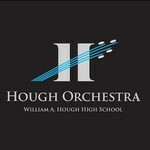 Hough High School Orchestra Patrons is managing the funds for this campaign.